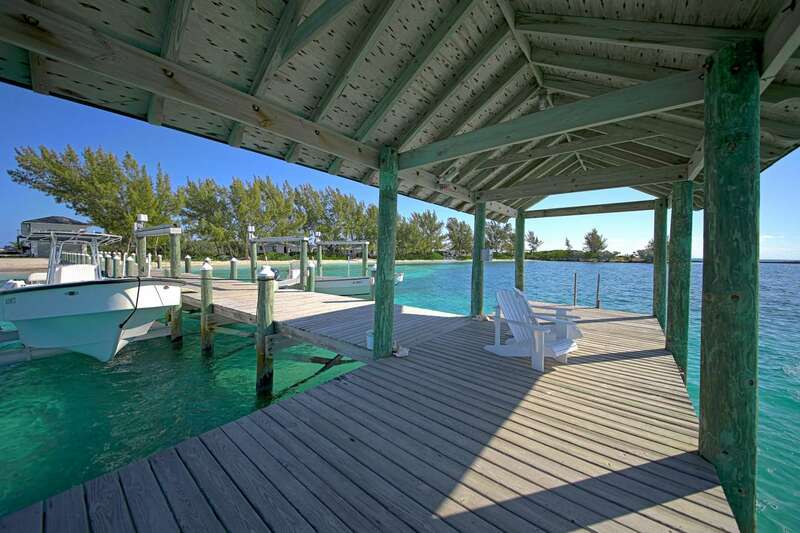 Bonefish Cay is a 13 acre island jewel located in the stunning archipelago of the Abaco Islands in the Bahamas. 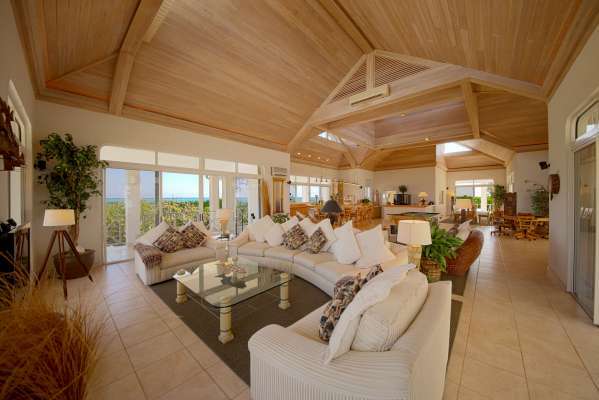 This beautiful isle has been developed into an exclusive, first class, Private Island Retreat. Five buildings totalling 15,000 sq. ft. were constructed of the finest materials imported from Europe and the United States. The entire complex is hurricane-proof. The property is fully air-conditioned, and the island generates its own electricity and has its own desalination plant. 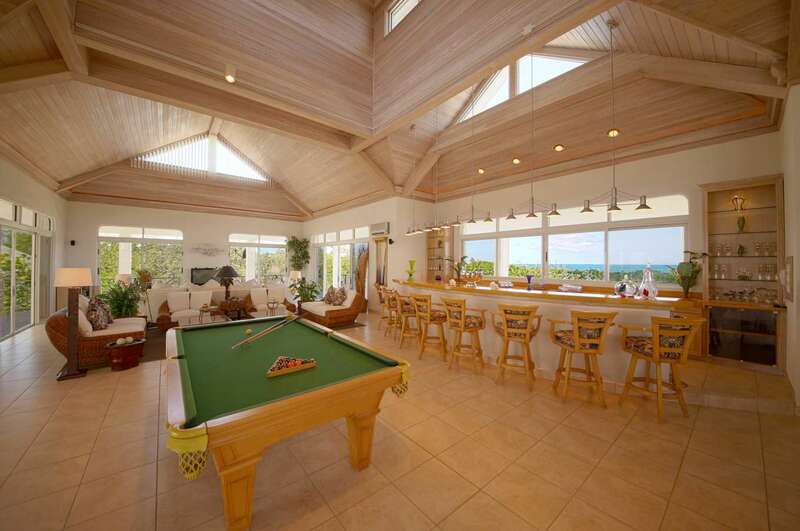 The majestic Main Lodge has 5000 sq ft of living space, and 360 degrees of breathtaking views of the island, the Atlantic Ocean and the Sea of Abaco. The main entertainment area has an impressive 30 foot vaulted cypress ceiling. Included within the Main Lodge is a chef designed professional kitchen, a 28 ft maple bar, elegant indoor dining with seating for 14, and an expansive covered patio, perfect for enjoying the ocean breeze whilst dining. 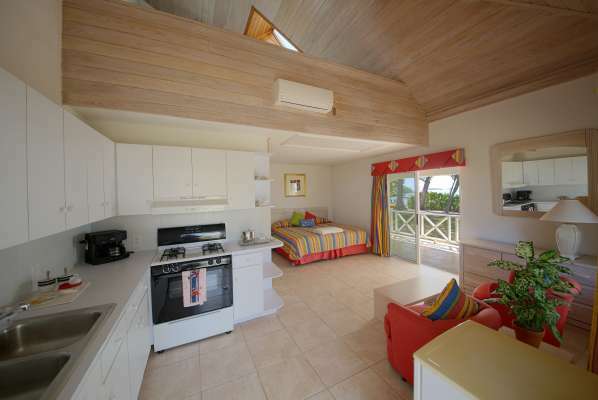 There are three other separate bungalows with fully furnished double suites for guests and staff. Each suite has it's own private bathroom with shower. Bungalow One holds the spectacular Master Suite, and two unique double suites. Bungalow Two has a beautiful studio, furnished with a kitchenette,and three additional tropically themed double suites. Bungalow Three holds the charming caretaker's suite, the chef's suite and a gym. The island has nine suites altogether; accommodating 14 guests and two sets of staff. There is also a separate staff room adjacent to the work shop for extra staff if needed. 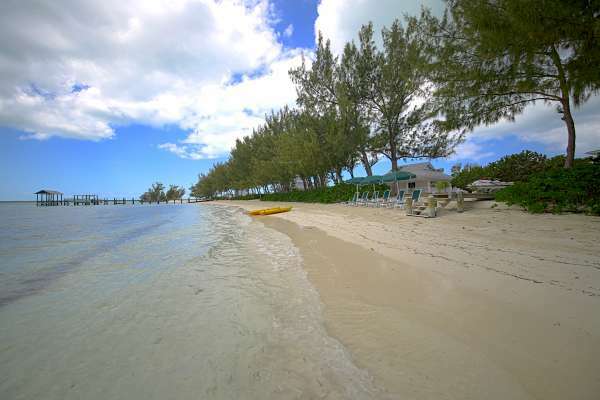 Bonefish Cay has two long, sandy beaches, on opposite sides of the island. There is a mile long nature trail that follows the perimeter of the island, allowing vivid views of the cobalt north shore, the mangrove shallows and ending at the sweeping green space behind the bungalows. For those that love the sights and sounds of nature, the shallow bay is a nursery for turtles, fish and conch. The mangroves, silver button woods, and fruit bearing sea grape trees are full of incredible birdlife. Offshore, sightings of the bottlenose dolphins that reside in the Sea of Abaco can be an exciting addition to the scenery. The waters surrounding the cay are legendary for both shallow water and deep sea fishing. Bonefish Cay was built to meld perfectly with the beauty of it's natural settings, as well as capture the essence of elegance and luxury essential to life on a Private Island...The purchase of Bonefish Cay is truly a "turn key" experience. 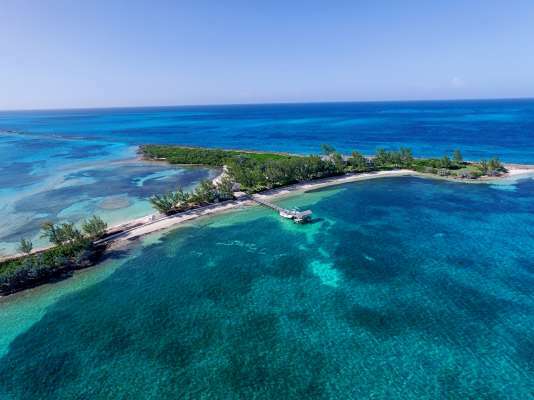 Included are not only the amenities of the Cay's bungalows and Main Lodge, but the new owners will be given the keys to the island's motor boats, jet skis, wave runners and inflatable zodiac. For those that enjoy the quieter joys of sailing, the cay has a 21ft trimaran. Those that partake in the underwater thrill of scuba are also provided for, with a dive compressor, tanks, and snorkelling equipment in the scuba room. All furnishings (furniture, tableware, silverware, etc.) are also included in the purchase of this cay. One of the nearest neighbouring cays is Green Turtle Cay. A quaint little island with historic pastel painted cottages, boutique hotels, and scrumptious local eateries. A great place to visit for lunch and a golf cart tour. 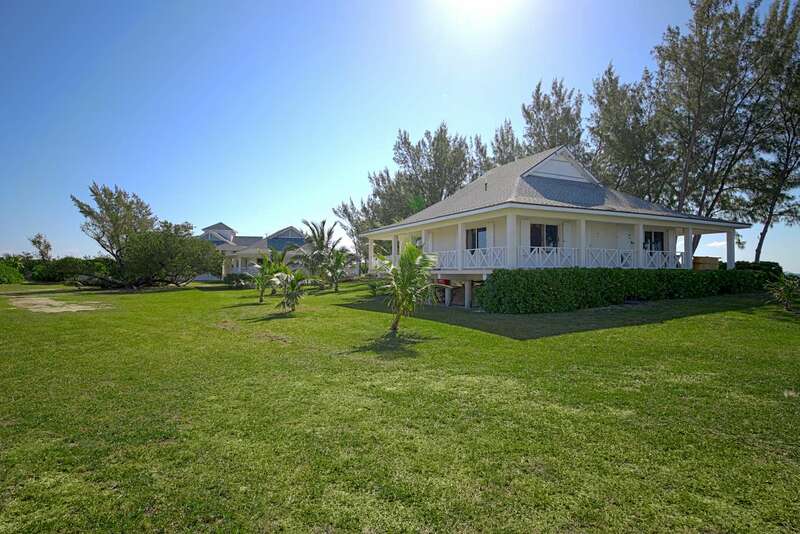 The mainland town of Treasure Cay, with a hotel and marina, 18-hole golf course and tennis courts, is also only a short boat trip away. Spanish Cay, Great Guana Cay and Elbow Cay are also a short commute by boat, or by car and ferry. It only takes 10 minutes to cross the four miles of sea to get to the mainland of Abaco. There are daily international flights (approx one hour flight) from Florida to the airports in Marsh Harbour and Treasure Cay, which you can reach in 40 and 15 minutes by car respectively, after crossing to the mainland. Both towns have well stocked supermarkets, banks, hardware stores etc. Marsh Harbour has a newly opened hospital and modern dental clinics. Spanish Cay (a 15 minute boat ride) is a port of entry and has a 5,000-foot runway if air charters are desired. Seaplane landings off the shore of Bonefish Cay are also an option for commuting, as well as helicopter landings on the east tip of the island. 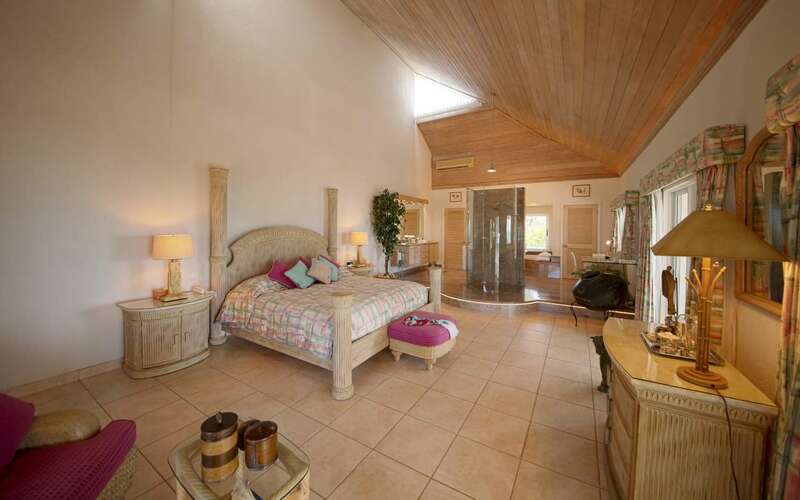 Bonefish Cay is a rare piece of paradise; a first class retreat in a very desirable location, which the new owner would be able to rent out immediately if they wished to do so.